There’s no denying that you’re never short of a dozen or twenty hot new restaurant openings in Hong Kong. However, hot new restaurants that you want to come back to time and time again? That’s a bit trickier. 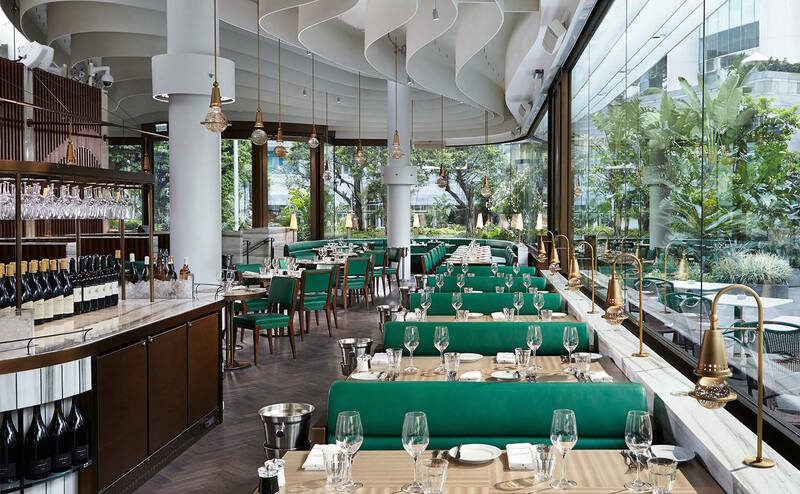 For that reason, one of my favourite recent openings – and recent in Rach speak means sometime in the past year – is The Continental at Pacific Place in Admiralty. It serves unfussy, unpretentious, British-European cuisine made with classic flavours, quality ingredients and uniformly excellent cooking. 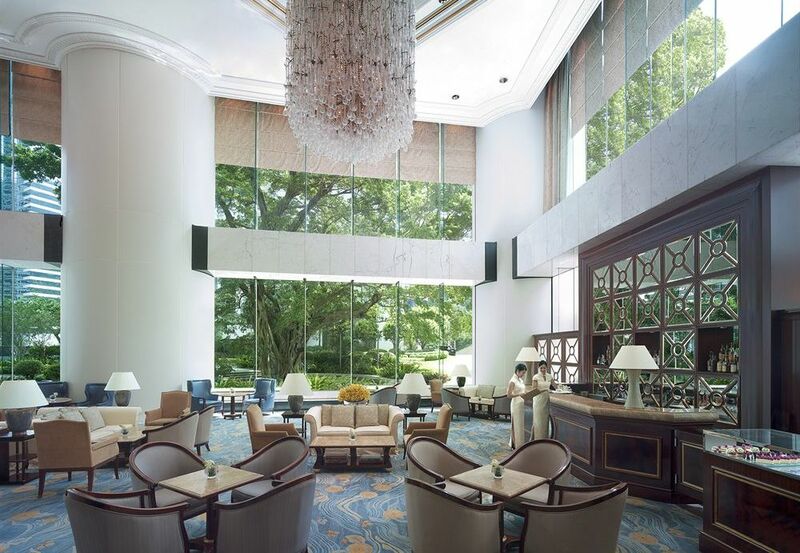 The whole place has the seamless confidence of an old-school hotel restaurant… except without actually being in a hotel (it is under Swire though, who own The Upper House and EAST hotels – then again, they’re also responsible for bottling Coca-Cola in Hong Kong so it takes all sorts). It’s consistent, reliable and most importantly, very very good. 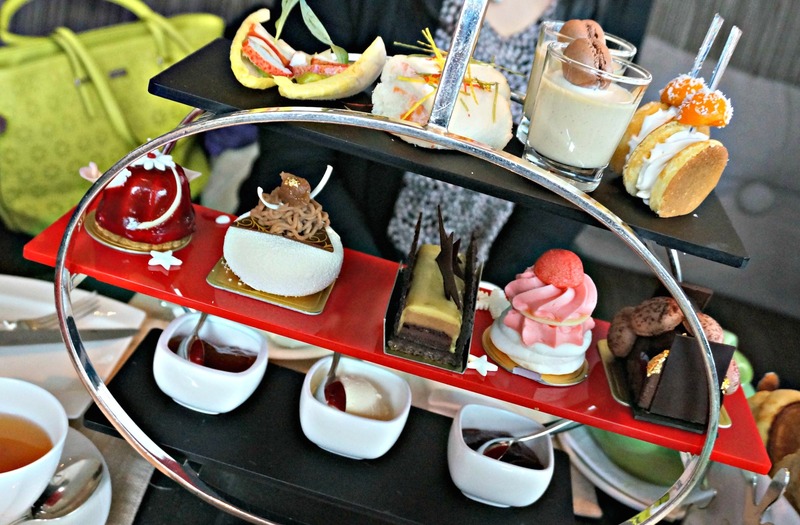 As such, I’ve been there for lunch, brunch, dinner and drinks – but me being me, it’s The Continental’s afternoon tea I want to talk to you about first. 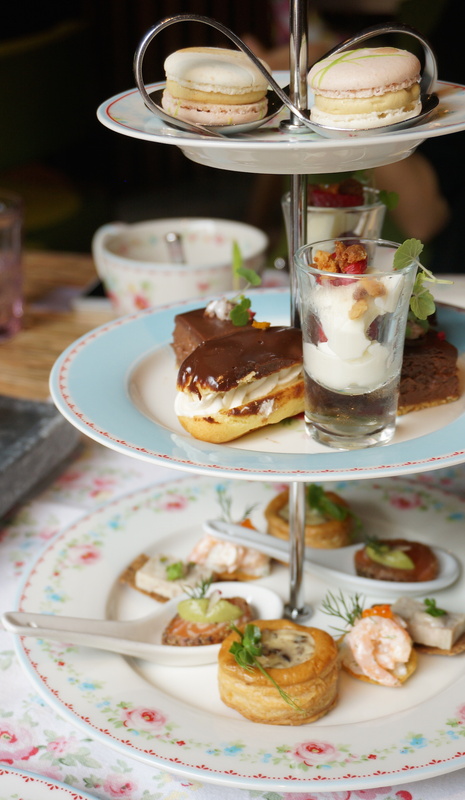 As far as afternoon teas go, you couldn’t wish for a nicer space, with an elegant contemporary design courtesy of David Collins Studio (who did The Wolsey in London) that effortlessly marries intimate comfort with modern sophistication. 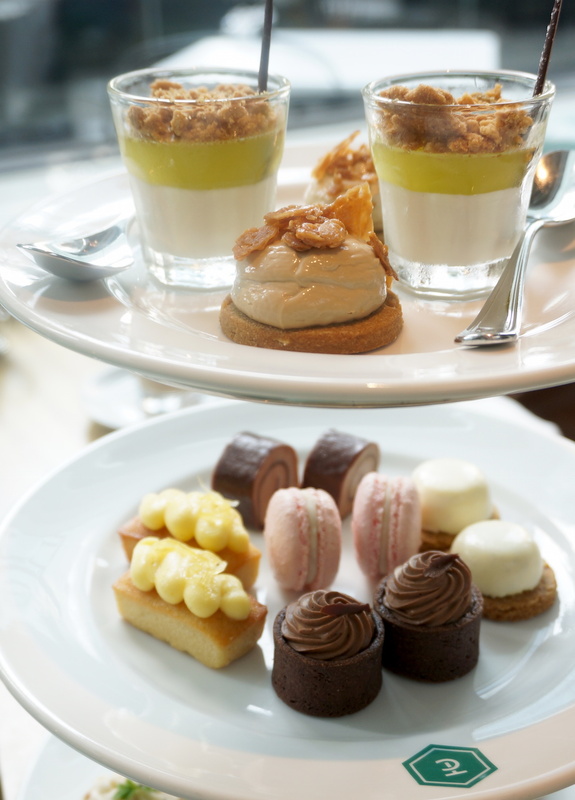 No, not the punch line to some dodgy joke, but the new FEAST Francfranc Afternoon Tea! 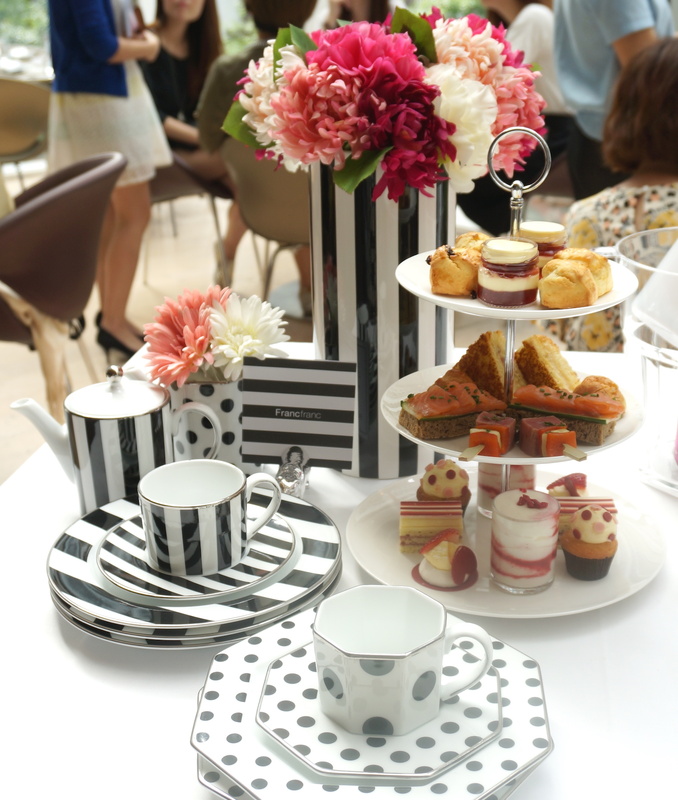 Thanks to that eye-catching black, white and red colour scheme, there’s something a little Alice In Wonderland-Queen Of Hearts about this afternoon tea set – but it’s definitely too gorgeous to have me screaming “Off with their heads!” at any of FEAST’s unsuspecting waiters. Although now you mention it, that pre-swirled cream and jam for the scones does make the afternoon tea purist in me twitch uncomfortably… but hey, it does look awfully pretty! Remember when Phoebe called Rachel “vanilla” on Friends? 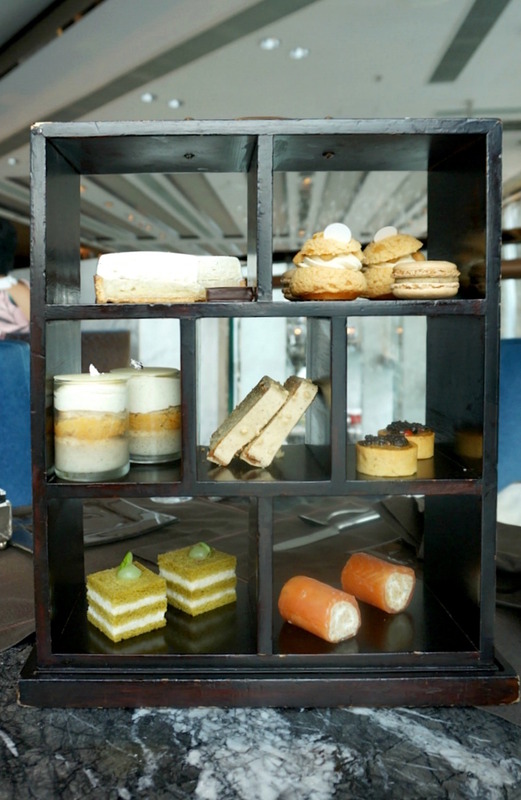 It certainly wasn’t intended as a compliment then… but in the case of the Pierre Hermé Paris Infiniment Vanille Afternoon Tea at The Ritz-Carlton Hong Kong, it most definitely is one! Banish all thoughts of vanilla being bland and boring –Pierre Hermé’s Fetish Infiniment Vanille collection of exquisite pint-sized pastries is the coolest thing to happen to vanilla since the raps in Ice Ice Baby. 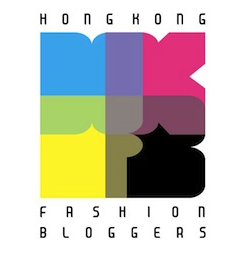 Forget March Madness, the Mad March Hare or even the March winds and April showers that bring forth May flowers – March in Hong Kong means art mania… also known as any party/event/celebrity visit that-can-vaguely-be-connected-to-art mania. Sadly I’m not really into art – or parties – but what I can get on-board with is another opportunity to stuff my face. Enter the Grand Hyatt Hong Kong’s Cake Painting Afternoon Tea, a fun collaboration with British/Japanese artist Peter McDonald. Consisting of edible treats inspired by McDonald’s art, plus several of his original works on display too (including some created especially in honour of the tea), this is probably the closest I’ll get to embracing my artistic side this March! 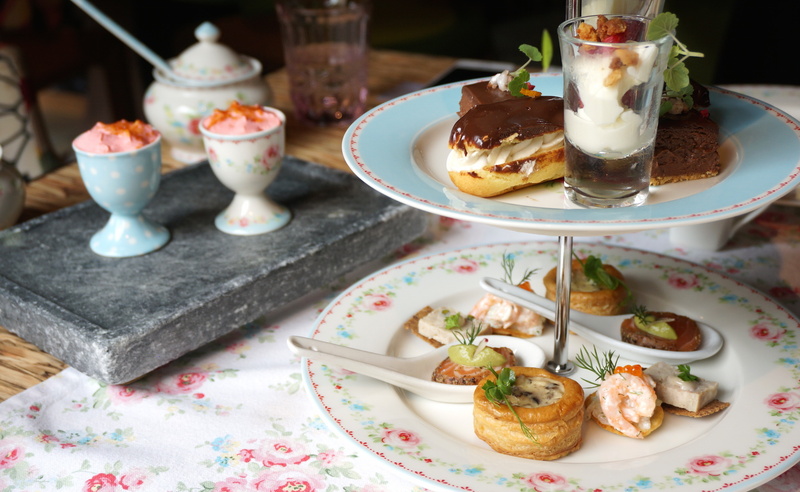 In what will go down in history as The Day Of Two Afternoon Teas, I actually ended up eating the Cake Painting Afternoon Tea for ummm… breakfast (I know, I know) – but what a wonderful way to start the day it was! 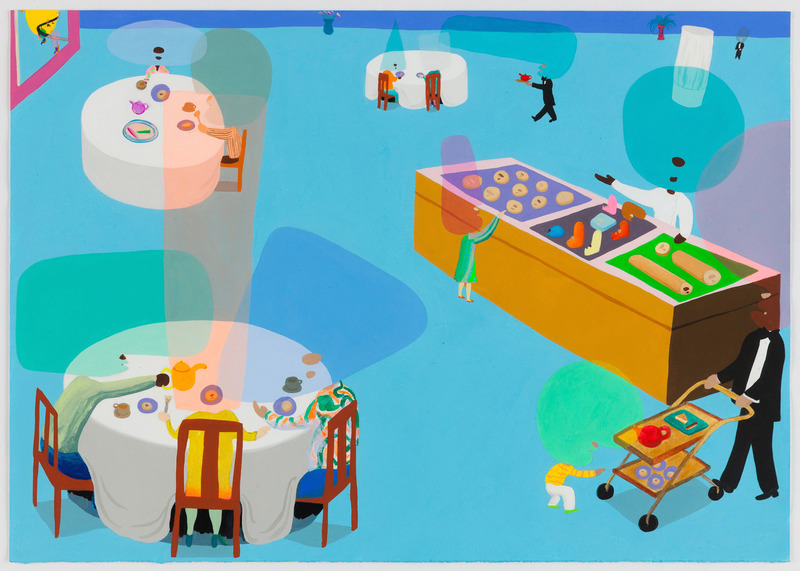 I’m not going to be giving Brian Sewell a run for his money anytime soon, but I can tell you that Peter McDonald’s art is eye-catchingly bright, vibrant and imaginative, abstract but not in that “well now I feel stupid” pretentious way, and with a tangible sense of fun and playfulness. 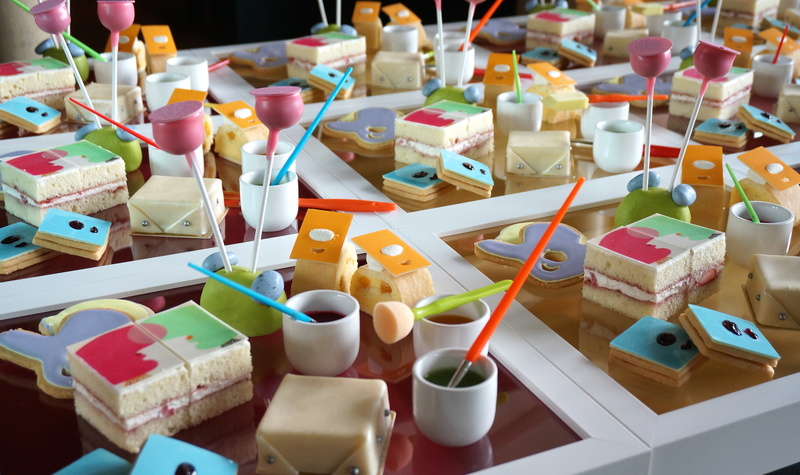 The Grand Hyatt’s Executive Pastry Chef David White has done a great job of translating all this to the afternoon tea, creating colourful edible creations that still taste good too. Now that’s the kind of work of art I can truly appreciate! 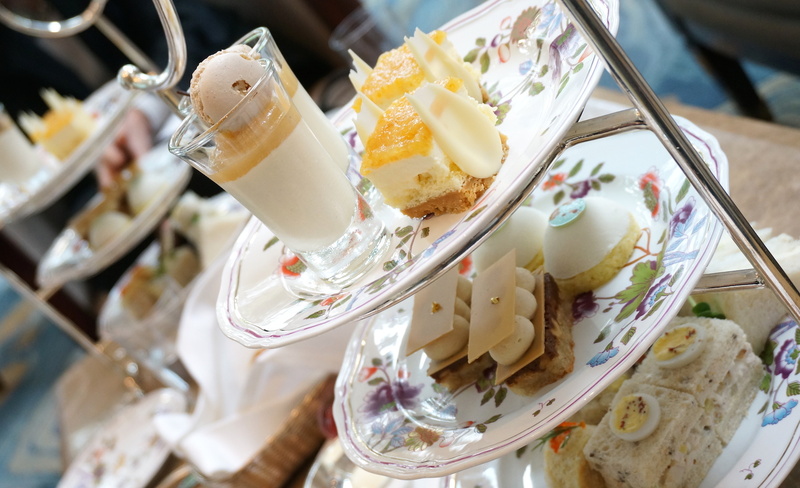 In a city swarming with afternoon teas, there are a couple of stone cold (or rather, scone cold hehe) classics that rarely disappoint – The Mandarin Oriental, The Four Seasons, The Peninsula… and I think it’s about time that I added The Intercontinental Hong Kong to the list. 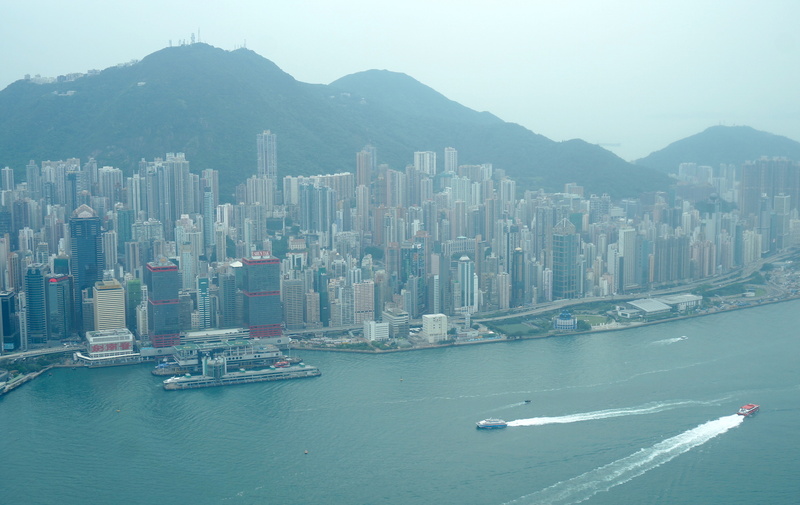 Whilst many hotel teas here boast pretty sweet views of the city thanks to their lofty heights (à la The Ritz-Carlton or The Upper House’s Café Gray Deluxe), The Intercontinental’s might just be my new favourite based on sheer spectacle alone. 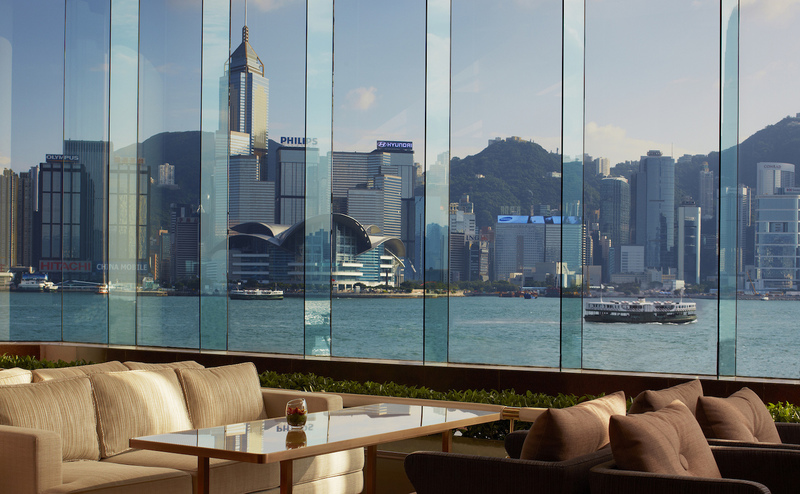 The laidback surrounds of the Lobby Lounge essentially give you front row seats to the best show Hong Kong has to offer – our magnificent harbour skyline, laid out for all to see via a giant wall of floor-to-ceiling windows. It’s like you’re sitting on the ocean. As far as tea settings go, you can’t get much better… oh, until the sun sets and then you get to see Hong Kong’s glittering skyline by night instead.